WhatsApp has long been used as a medium to share photos, videos, and even Word docs. And for those files that weren’t supported on WhatsApp, users tend to go the long route by uploading them first on the cloud, and then sharing the link for download. 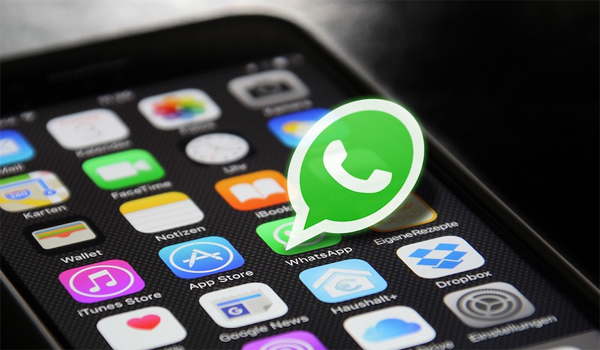 There are several other workarounds, including third-party apps, to get your unsupported file from one sender to another, but it appears WhatsApp no longer wants you to use those. The company is said to be testing support for all types of file transfers (including archives) on Android, iPhone, and Windows Phone with a limited number of users, removing any hindrance of file sharing on WhatsApp. WABetaInfo spotted this roll out, and claims that it’s a phased one. While some users in countries like India, Japan, Kuwait, Sri Lanka have reported that the support has arrived, there are several other users that do not see it still. However, WhatsApp can be expected to roll this feature out to everyone in the due course of time. The file sharing limit is at 128MB on iOS, 64MB on Web, and 100MB on Android, WABetaInfo reports. This new feature will now allow you to share video in a wide variety of formats, MP3 songs, or even APK files for that matter on WhatsApp. As of now, it's now certain what type of file-checking system WhatsApp has put into place to prevent transfer of malicious or booby-trapped files. The other neat addition noted by the tipster is that with the new sharing feature, WhatsApp also allows you to send uncompressed photos and videos without compromising on resolution, but the ceiling limit is too low for high-quality video clips of sufficient length. Presumably, this cap has been enforced to not overwhelm WhatsApp's servers with huge files.